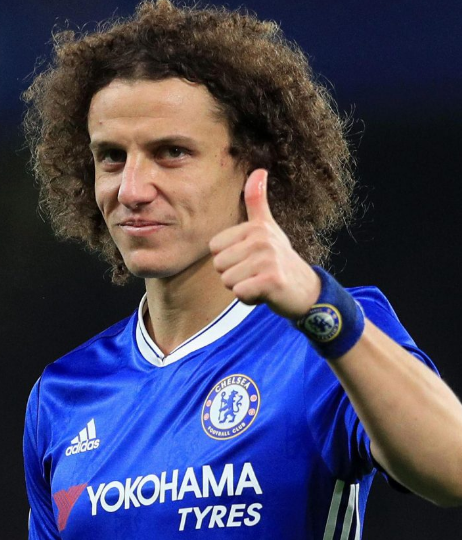 One of the popular professional football players is named as David Luiz Moreira Marinho who plays for Chelsea F.C and Brazil National Team. He is a well-known celebrity. He is famous for contribution to professional life. He is best at Centre back position. Currently, he is playing in Chelsea F.C. He had played for Vitoria. His Shirt number is 30. Neymar is one of his best teammates. He had represented himself in Russia for the World Cup 2018 as a part of the Brazil national team by showing his talent to all. He is a very talented and skilled player. Chelsea lagging a consistent performance under Maurizio Sarri got boosted up upon the arrival of Argentine, Gonzalo Higuain. Chelsea loaned their Spanish striker Alvaro Morata to the Spanish team, Atletico Madrid. Upon the arrival of Higuain, Chelsea is expected to improve their front three. Higuain made his Chelsea debut in FA Cup 4th round against Sheffield Wednesday. Chelsea made an easy 3-0 victory. Higuain made his EPL debut in a 4-0 away loss against Bournemouth. However, Chelsea welcomed Huddersfield Town at home on Saturday. Huddersfield returned suffering a 5-0 loss against Chelsea, where January signing Higuain opened his account scoring in the 16th minute. Chelsea favorite Hazard doubled their lead in the injury time of the first half via penalty. Hazard scored his second goal in the 66th minute, whereas Higuain added one more in the 69th minute. Chelsea defender David Luiz wrapped up the game when he scored the fifth goal for Chelsea in the 86th minute. Chelsea looked more organized and appeared stronger this time. Passionate and enthusiastic player, David Luiz was born on 22nd April 1987. He was born and raised in Diadema, a city of Brazil. He is the son of Ladislau Marinho and Regina Celia Marinho, his father and mother. His nationality is Brazilian. His sister name is Isabelle Moreira Marinho. His real name is David Luiz Moreira Marinho. At a small age, he began his career with football. David has got a great personality. Talking about his body, his height is 1.89 m. His weight is of 84 Kg. His eye color and hair color is Brown. He has a balanced body with good health. He has an attractive body figure. His smiling face and charming personality have helped him to gain the attention of all the viewers. Luiz began his career in football playing for Esporte Club Vitoria in Bahia and made his debut. Soon he became the first team player. In the year 2006, Luiz helped Vitoria to get to Serie A, thus attracting the attention of many clubs. In the year 2007, David made he switched to Benfica. In the season of 2008-2009, he played at the position of a left back, which was not really appropriate for him. In the month of January 2009, he made his first goal for Benfica and secured a victory in the match against Braga with the score of 1-0. At the end of the year 2009, Luiz extended the term of his contract with Benfica to 2015 and admitted it was one of the most exciting days of his life. In 2009-2010 Benfica won Primeira Liga and wrapped up Taca da Liga. In the year 2011, he joined Chelsea by signing a 5-year contract. However, with the arrival of Jose Mourinho, he fell out of favor and in summer 2014 moved to Paris Saint-Germain in an astonishing €50 million deal. From 2010, David Luiz has played for the Brazil national team. 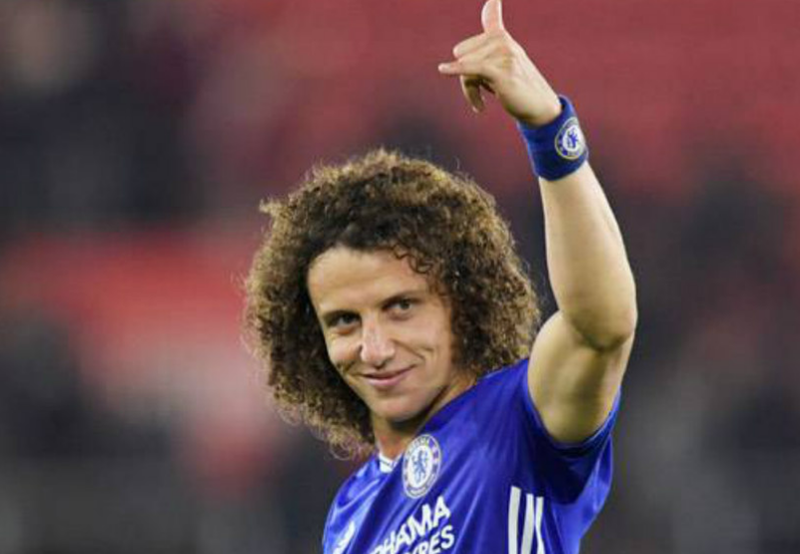 Luiz was named in the PFA Team of the Year for the 2016-2017 Premier League season on 20th April 2017. He was selected for Chelsea's first match of the 2017-2018 Premier League season against Burnley on 12th August 2017. He had represented himself in his national country, Brazil in both senior as well as junior levels in many tournaments. He had played U20, Copa America, Confederation Cup, Fifa World Cup 2014, 2015 Copa America and played very brilliantly. His name was also enlisted in the squad of Brazil national team in this World cup 2018 Russia. David is single. He is not married yet but he is in a relationship with Sara Madeira, his girlfriend. They seem to be very happy with each other. The couple makes public appearances together often. There is no sign of Separation between them. They are living peacefully. The couple is blessed with a single son named David Liuz Jr. This excellent player makes good money from his work. The net worth of David is estimated to have $63 million in 2018. He is receiving an annual salary of $8 million from his present club. He is satisfied with his earning.